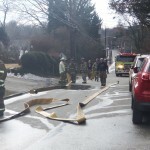 On Thursday, February 12th, at 1403 hrs Company 38 and Engine 35 were dispatched to 742 Buck Lane for a house fire. 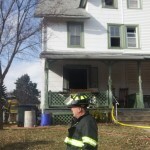 38-12A Wintz arrived on location with Veteran Police Officer Matthew Kelly to find a smoke condition on the second floor and heavy smoke on the third floor. Engine 38 arrived on location and went into service. 38-9B Sava established command and requested a 2nd alarm bringing RIT 34, Engine 56 and Rescue 58. 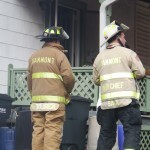 The crew from Engine 38 found a sofa on fire in a third floor bedroom and the fire was quickly extinguished. 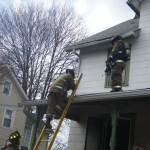 Crews from Engine 35 and Ladder 38 performed ventilation and then checked the exposure for any extension. 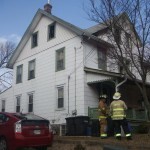 The fire was placed under control in twenty minutes.